Wireless content streaming and gaming has never been easier with plug-and-play setup, zero latency, and the ability to stream Full HD 1080p and all 3D content formats. With a wired pass-through feature that sends content to a nearby HDTV, and a wireless receiver able to receive wirelessly streamed content up to 100ft (30m) away, it is simple to watch TV or play video games in different rooms, all without the clutter and cost of running cables. 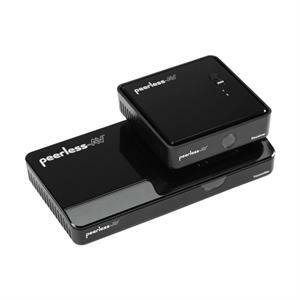 In addition, this is the only system that provides the ability to expand wireless connectivity with the ability to add additional HDMI sources wirelessly to one HDTV with an available Transmitter accessory.